Review|Magnitone Lucid - Does it Work? 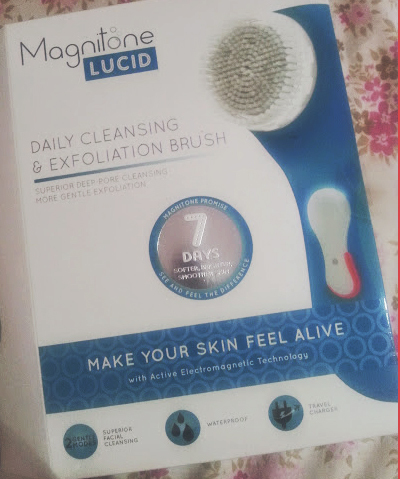 Luck was on my side when the Bloggers Love Gifting happened a few weeks ago, as I managed to bag the Magnitone Lucid in the colour of my choice! I just inched in at the last second, and a few days later I received a very exciting email that the brush was on the way to me! 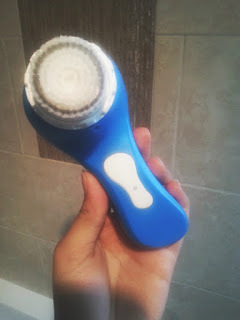 I became very curious about the brush and started researching into it, in this review I will be running through what the brush is, how it worked on my skin and whether or not it is worth the price tag. What is the Magnitone Lucid? Days 1 - 3 I didn't see much difference in my skin, but I used it in the shower and it really made me feel awake and fresh. The thing I found was that all the 'under the skin' spots that are painful as hell came out on to the surface, I was very shocked indeed as it has been forever since spots from under have come out. Days 4 -7 Today (Saturday) marks a week that I have been using this machine, and the last 4 days I have seen a HUGE difference in my skin. The spots that came out earlier in the week have cleared and in general my skin has cleared up the most it has in months. It feels fresh, looks clearer than ever before and it is all down to the magical powers of this machine/brush. The cleanser I was using with it I have been using on and off for the past few months, but having the Magnitone has made me use it more and really focus on my skincare routine. 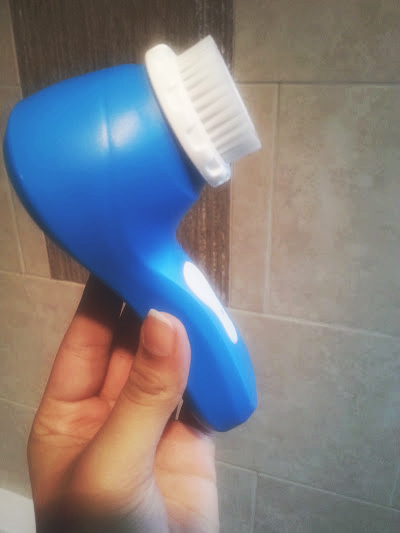 It takes 1 minute to use every morning and night, your life will be changed forever - trust me. It is also very easy to use, one button and voilà! 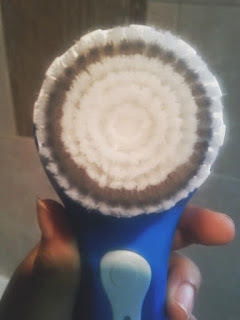 I am going to be carrying on using the Magnitone forever and ever until it dies on me, it is also perfect for travelling and I will be taking it away with me to use due to the convenience of the brush. 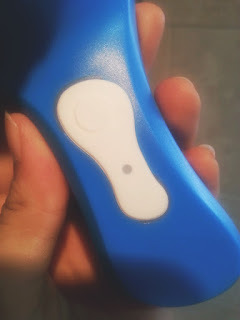 And there you have it a little diary/review of my experience with the Magnitone Lucid! It promises to make your skin feel alive and the 7 day guarantee is a FACT!! If you are in the market for a new cleanser brush then I highly recommend looking in to buying yourself the Lucid. Check out the discount code below to nab 20% off!